As creative business owners, one of the most important things you can do is create a professional website. 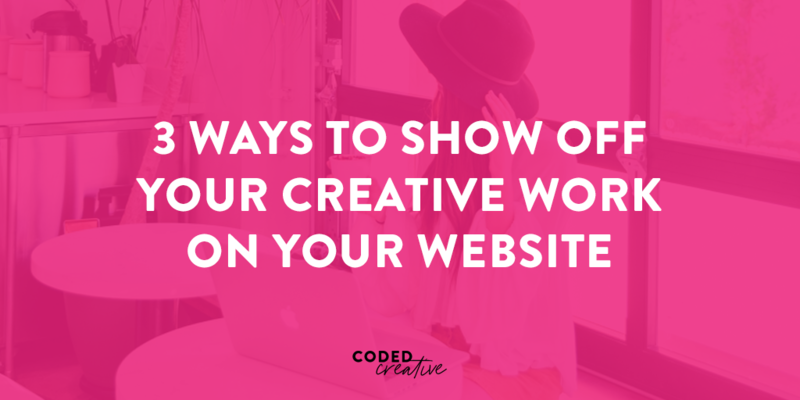 This is so important because your website is your home base for everything you do online. However, there’s a common misconception that business owners have to have a totally custom website design to be successful. What’s actually important is that you have a design that works to help you grow your audience, gain leads, and make money. Premade themes can be a more effective way for you to do exactly that, especially for new business owners. 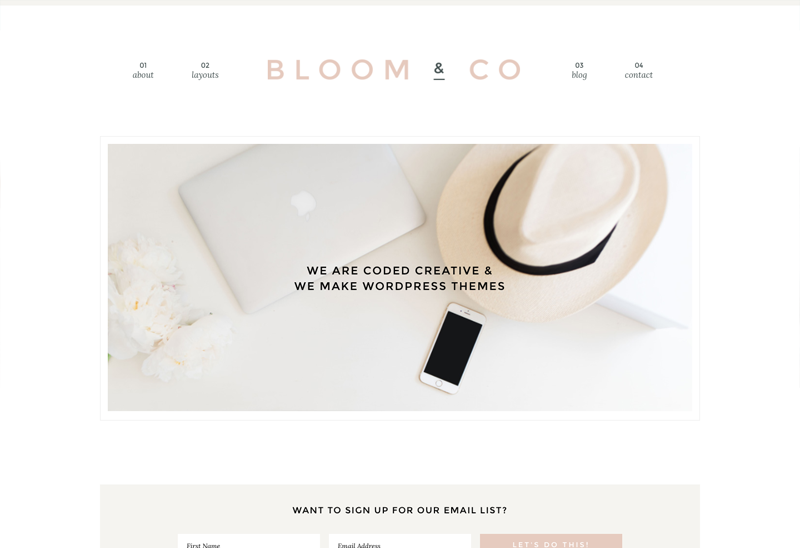 This week I wanted to break down why using a premade theme might be better for you than getting a custom website design. 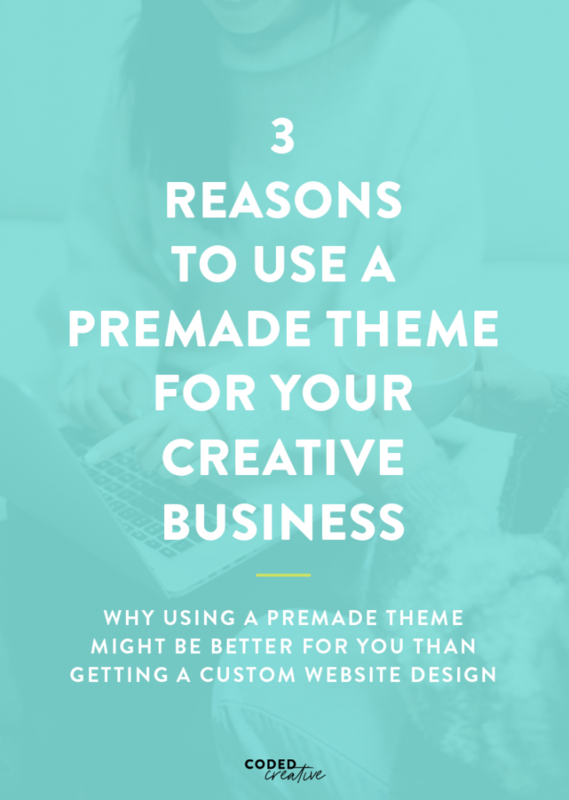 So today I’m sharing 3 reasons you should use a premade theme for your creative business. When you’re just getting started, the main thing that seems to hold most people back is procrastination. 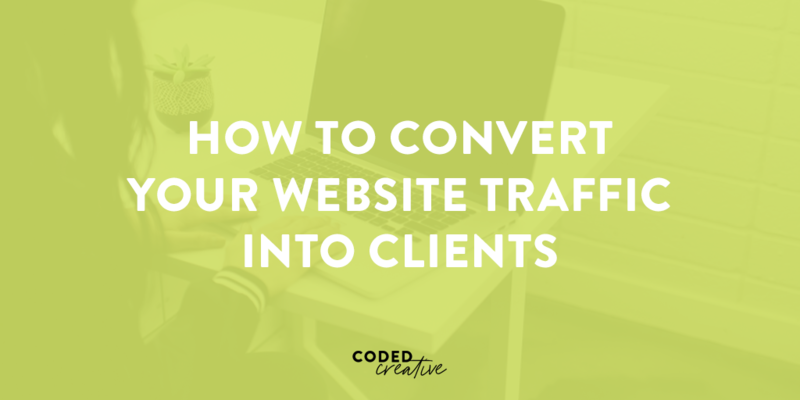 You may think it’ll take you a long time to get your website setup. So instead of taking the first step, you keep putting it off until next week or next month. Then getting your website up never gets done. One great thing about using a premade theme for your website is that it’ll help you save time getting your website live. It may take some intentional research to find the best theme for you. However, once you have your favorite it’s as simple as adding your content to the site. You don’t have to worry about trying to figure out what your Home page design should look like. If you don’t want to, you don’t even have to worry about picking out your own fonts and colors. Just install, add your content, and go! Most creative business owners want to get a custom site designed and built for them when they’re just getting started. This can be a very long, drawn out process, which may not be ideal for everyone. Using a premade theme will save time spent on a custom design that you may not have time for. When I was working with clients on custom projects, one of the things I heard was that some people just didn’t have a big enough budget to get a custom design when they were starting out. That’s not uncommon for new business owners, and there’s totally nothing wrong with that. Instead, premade themes allow you to create your website when you’re on a low budget. Regardless of the platform you want to build your website on, there are themes available at a variety of price points. For example, in my shop themes range anywhere from $39-$99. That means you could purchase your domain, hosting, and WordPress theme and get your website launched for under $200. That’s considerably cheaper than spending $2,000+ on a custom website design. 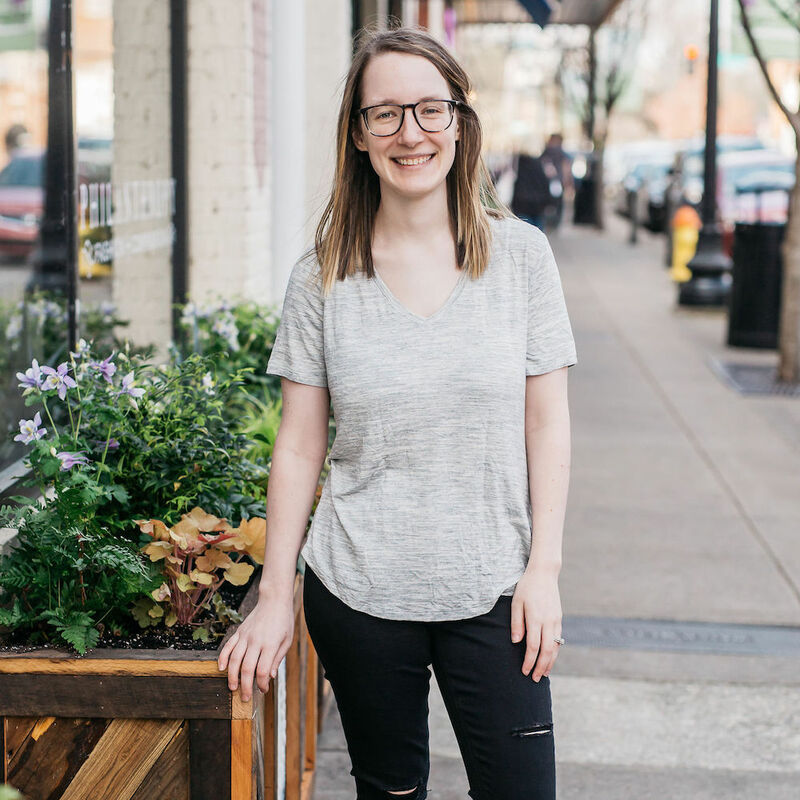 Ever gone to someone’s website, been totally impressed by how well put together it was, and then felt surprised that they were a brand new business owner? Okay, maybe that’s only happened to me. It never ceases to amaze me how having a great website design can make such a good impression on people. Having a professional website design makes you look like an expert – even if you just started your business yesterday. You obviously don’t want to start your business by misleading people about your experience and expertise. However, using a premade theme will give you that professional design and help you get a leg up on your competition who may have a site that they’ve designed themselves. 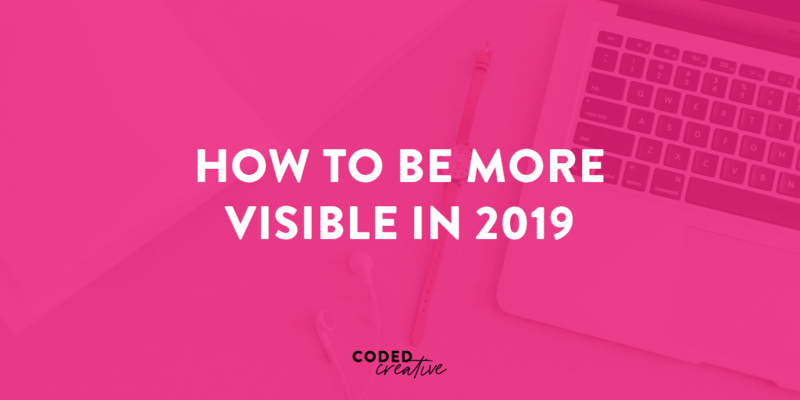 With so many creative business owners online right now, it never hurts to go the extra mile with your branding and website to help you stand out from everyone else. Plus, you can go live and start getting visible quicker with a premade theme. 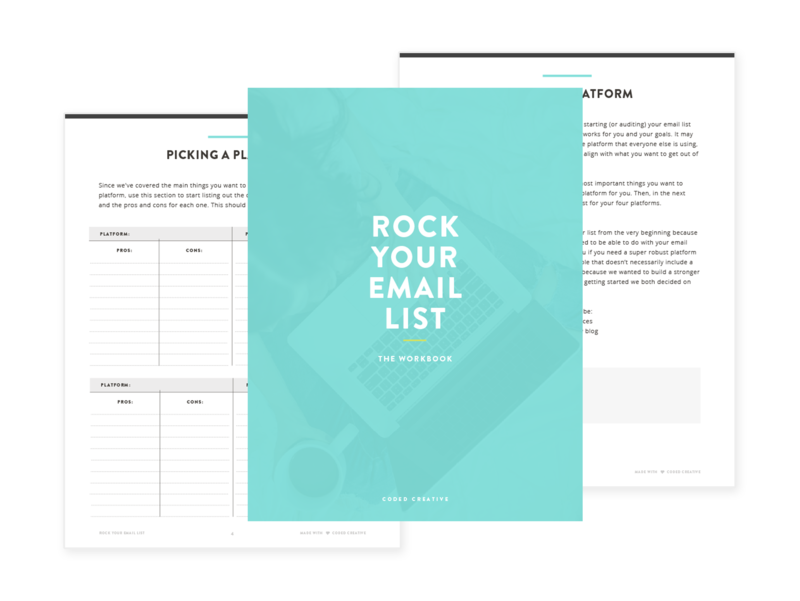 Premade themes are a valuable resource for everyone, especially new business owners. 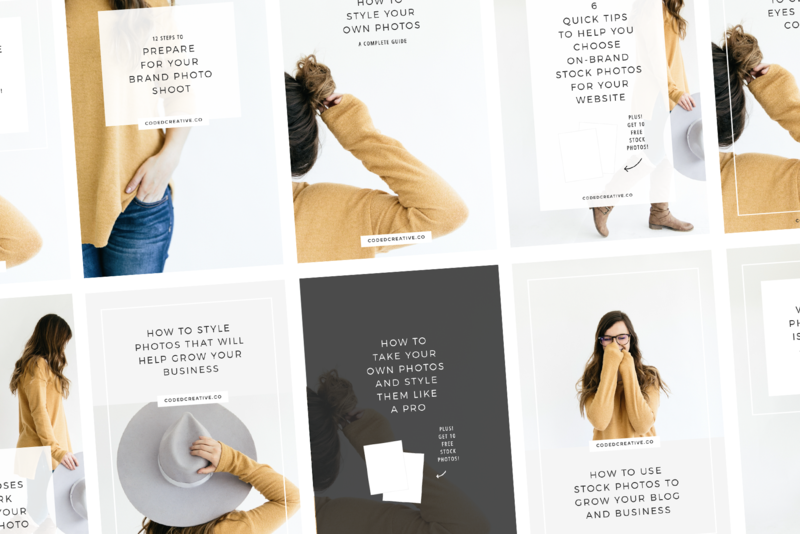 Whether you’re just starting your business or you’ve been working on it for a few years, it doesn’t hurt to consider getting a premade theme for your website to help you look more professional and stand out from your competition while saving time and money.